Jujubes enjoy a sleep-in too! Our jujube trees had a long sleep-in this season following a cool start to Spring. 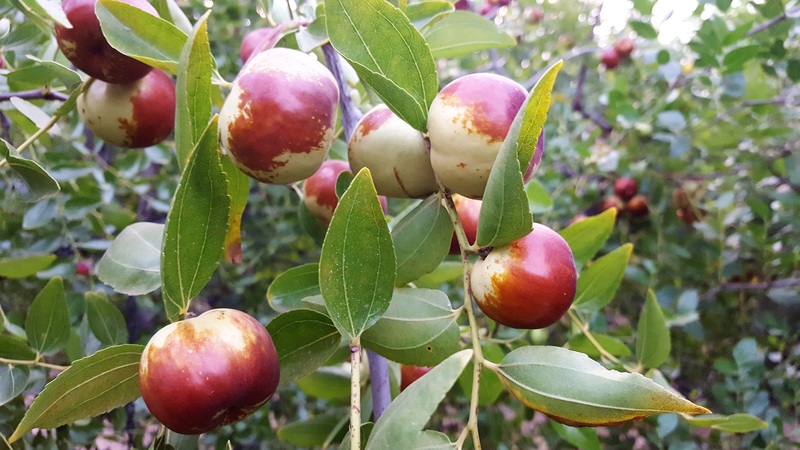 But the good news is that their fruit is now ripening beautifully in the Mildura sunshine, with our Chico jujubes leading the way in transforming from green to red. Crisp, delicious and nutritious – so good!